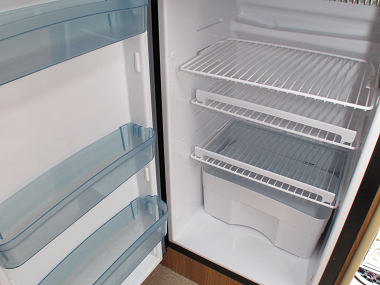 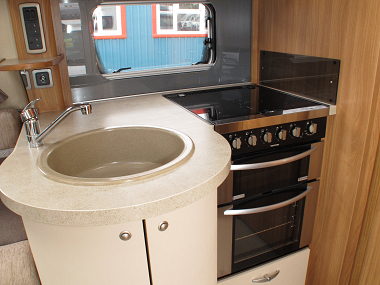 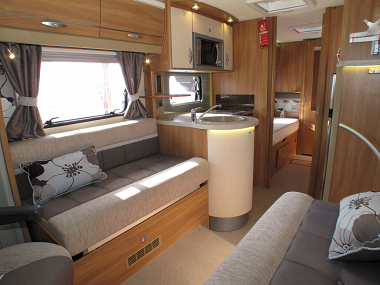 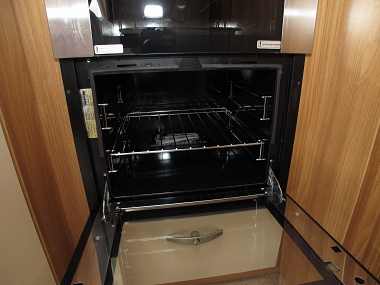 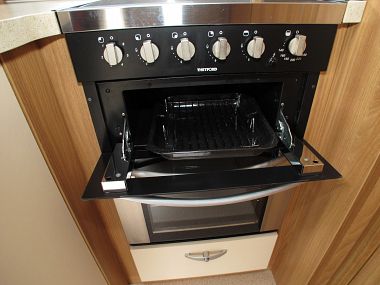 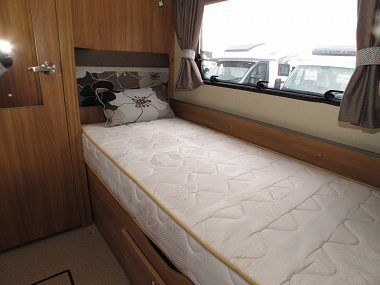 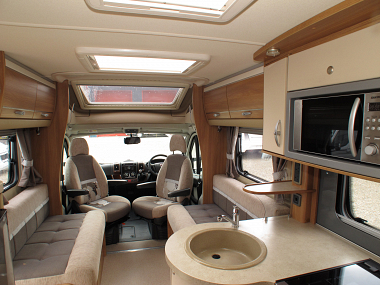 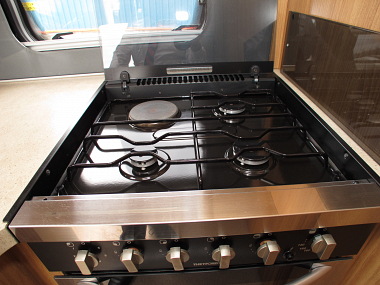 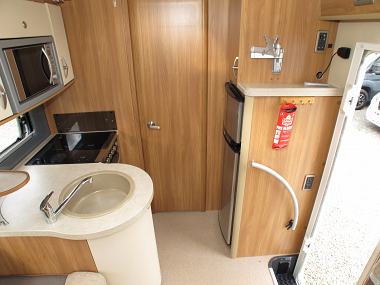 With its striking streamlined design, and class-leading specification the Bolero has a level of style and luxury you would normally only find in more expensive ranges. 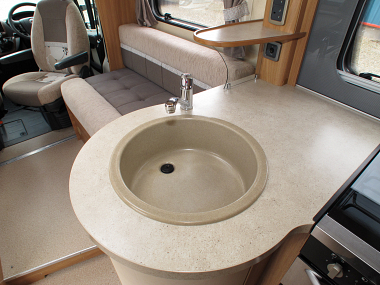 The aerodynamic bodyshell sits on a low-line AL-KO chassis for superior ride and road holding and the Bolero 712SB offers you two single beds with a spacious end washroom. 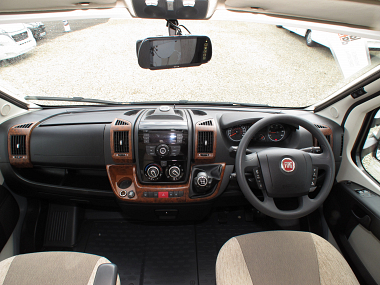 In addition to the powerful Alde radiator central heating with touch screen control, all models come fitted with a Truma 'Crash Sensor Mono' regulator. 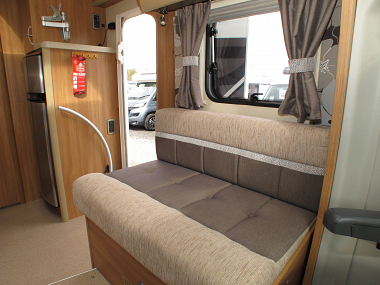 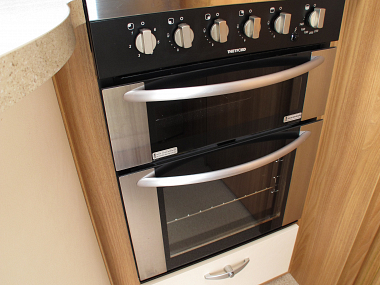 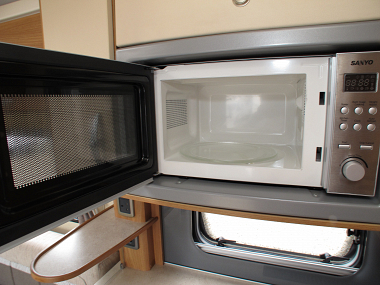 This allows en-route use of the heating, so you can arrive to your destination warm and ready to relax. 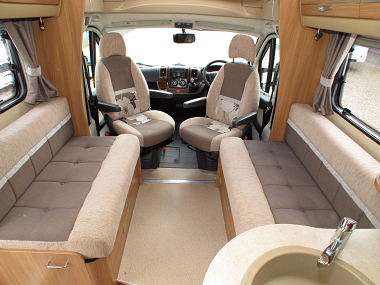 With the Winter Pack now fitted as standard the Bolero is truly suitable for all year round touring. 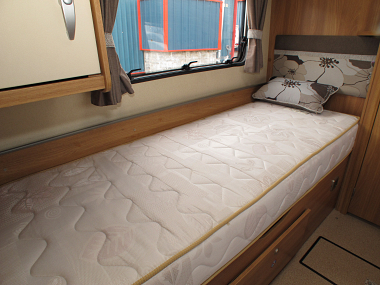 To ensure you have the ultimate nights sleep whilst away, all fixed beds come with a new exclusive Duvalay Duvalite mattress, with lightweight memory fibre technology. The ultra-low energy lighting system provides greater independence away from a power source and there is wiring to connect a solar panel. 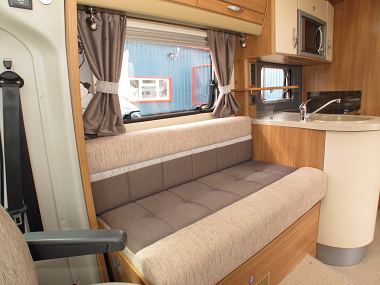 Pleated cab and window blinds plus a combination of LED lights, over-locker ambient lighting, low level night lights, kitchen splash back and under worktop lighting allows you to set the mood. 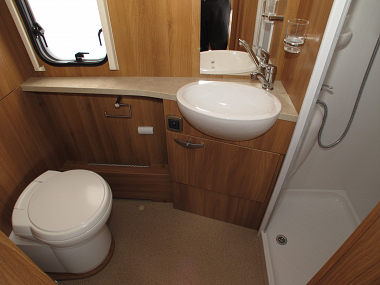 Sectioned carpets and new French Oak vinyl flooring also allow you to tailor the flooring to suit your needs. 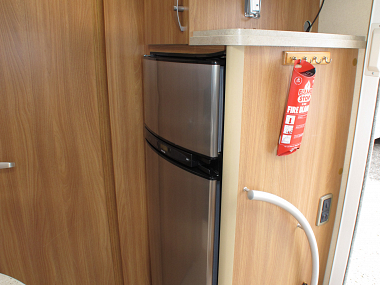 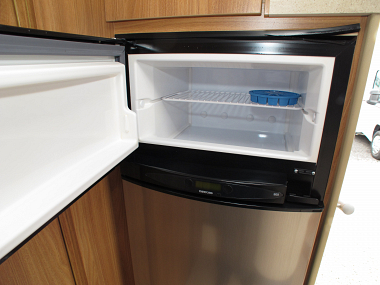 Well equipped kitchens all have a large 190 litre fridge/freezer and a new Ecocamel shower head gives a powerful shower. 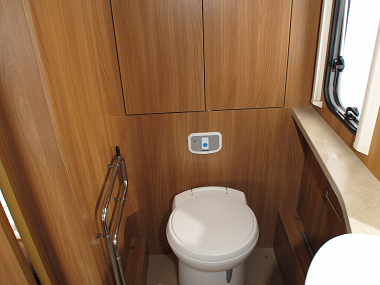 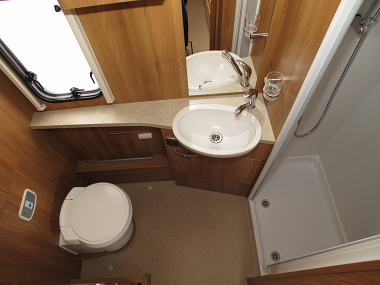 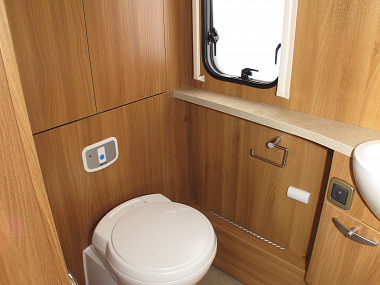 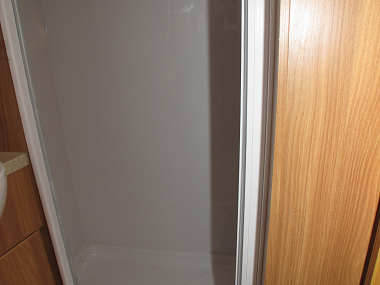 This model has the luxury of a separate shower cubicle and an Alde heated towel radiator. 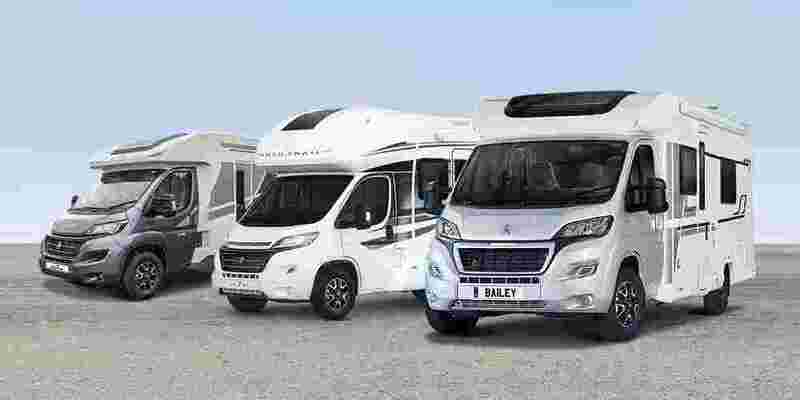 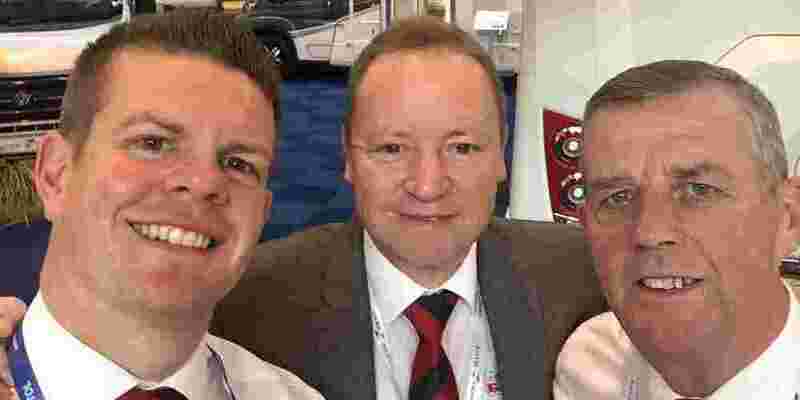 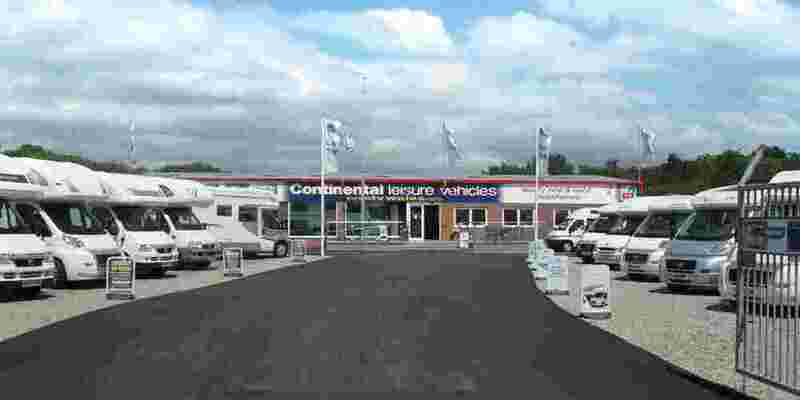 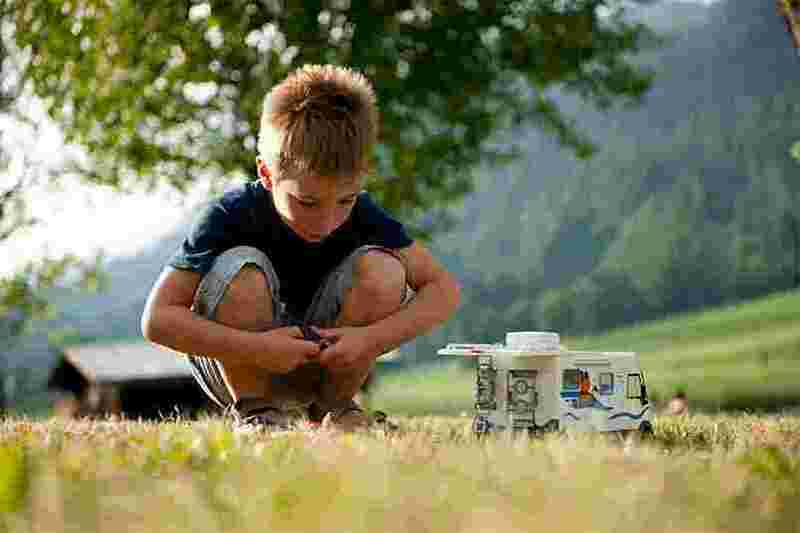 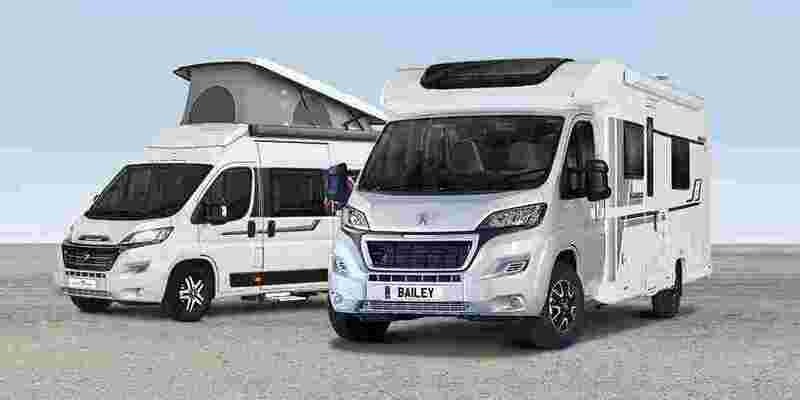 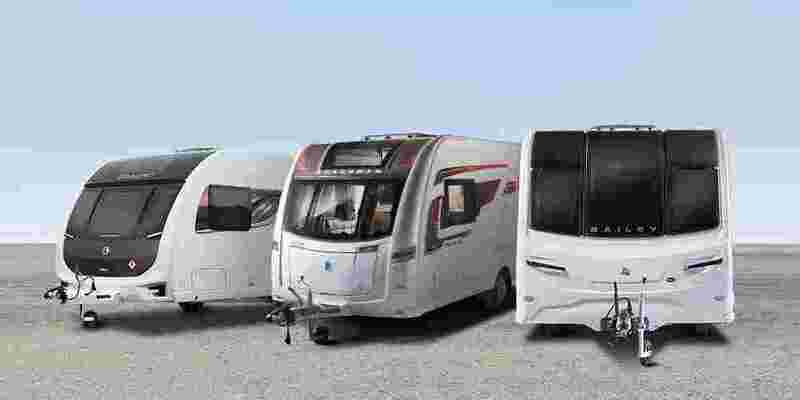 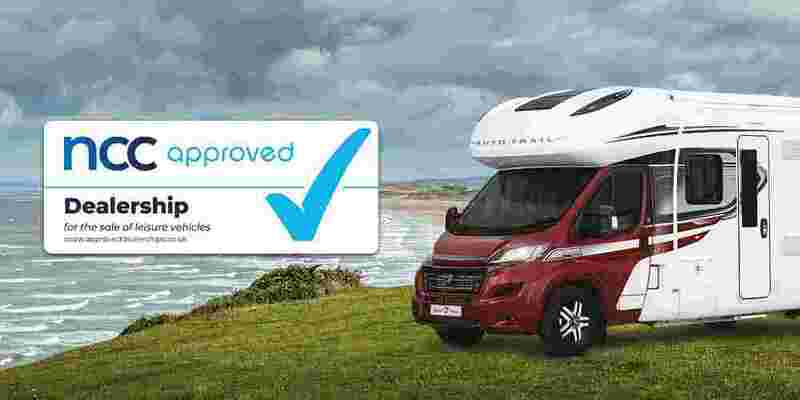 We are a member of the NCC Approved Dealer Scheme and a Preferred Dealership with the Camping and Caravanning Club so you can be sure of great service and back up. 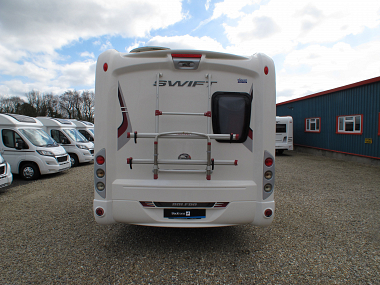 All our pre-owned motorhomes are fully HPI checked and come with a full handover and demonstration on collection day. 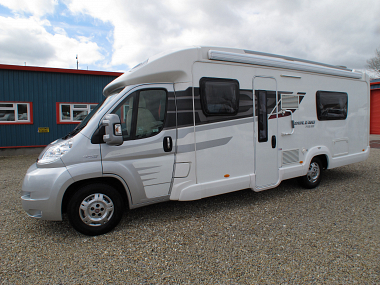 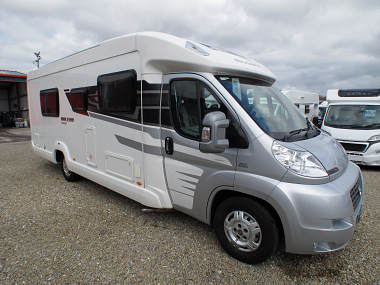 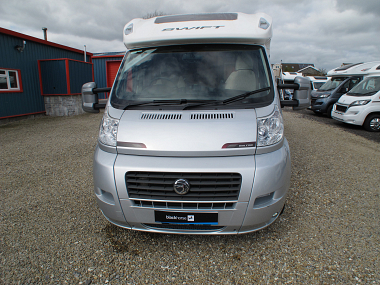 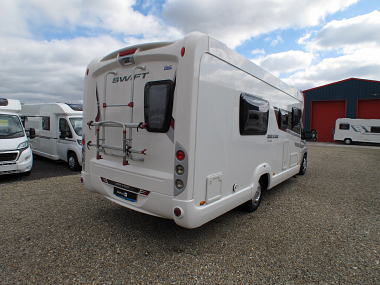 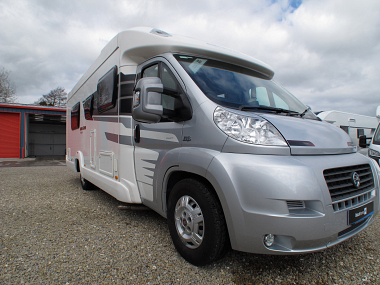 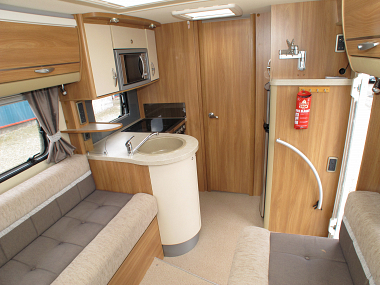 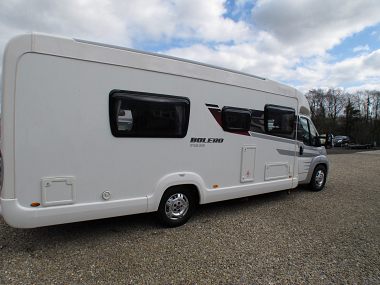 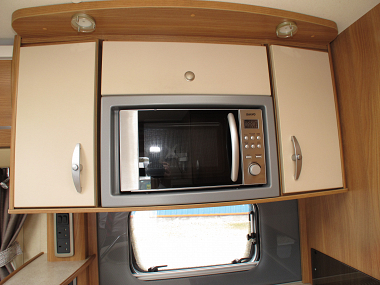 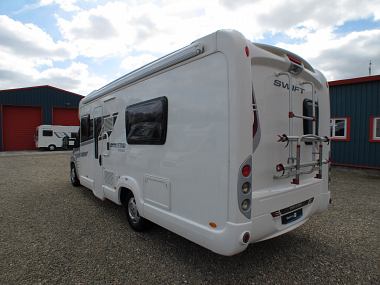 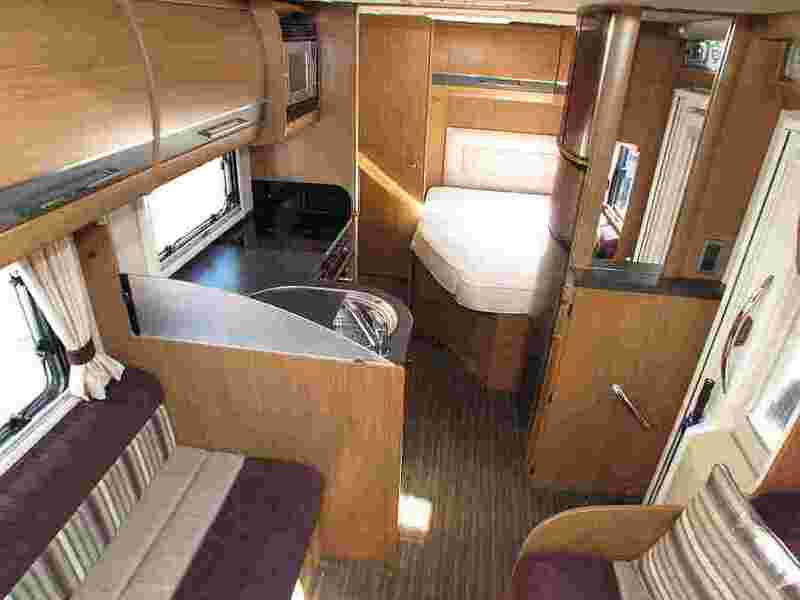 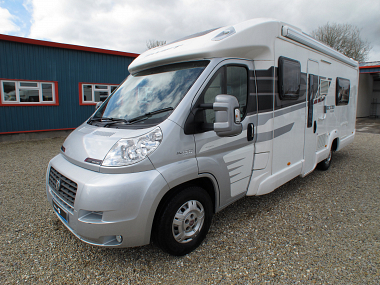 This motorhome will come to it's new owner with a 12 month warranty, new MOT, Service and road fund.